Earlier this year, I was trying to watch my beloved Patriots play in the AFC East Divisional Championship game while standing in the airport security line. After numerous failed attempts at downloading streaming apps that promised an uninterrupted game, I resorted to real-time game updates in the form of a line with how many yards the ball went each down and a description of the play. I was frustrated, to say the least—a missed opportunity as we know fostering the right positive emotions is key to building and maintaining loyal and engaged customers. When I finally made it through security, I went straight to a restaurant where Tom Brady was on every screen. This time, cable television saved the day. Live sports is one of the last threads tethering people to traditional cable packages. For most other content, consumers have a plethora of services to choose from—traditional streaming like Netflix, premium network streaming like HBO Now, and even broadcast network streaming like CBS All Access. And with Netflix recently becoming the number one choice for television viewing, it’s no surprise an estimated 22.2 million people cut the cord in 2017—a whopping 33% increase from 2016. As more consumers leave the traditional model for “à la carte” style, nontraditional services like Yahoo, Facebook, and ESPN are challenging cable providers’ last bastion of sports. While there have been hiccups in some of these services, like poor streaming quality and cutting out of games altogether, the technology is improving and eventually will offer sports fans a legitimate alternative to watch games on. To combat this rising competition, CBS and the NFL recently extended their agreement to stream all games on CBS All Access through the 2022 season—safeguarding their rights to the coveted (and profitable) football games, at least for now. New technology is disrupting the industry and cable providers will need to adapt and embrace innovation to stay competitive. This is already happening for some. 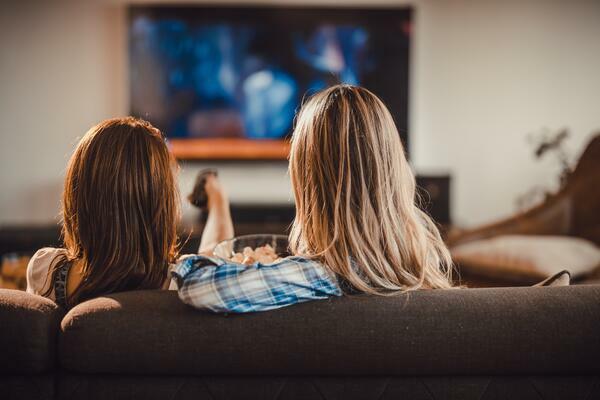 Charter Communications’ Spectrum now offers à la carte channels instead of the traditional comprehensive packages, Comcast has expanded their on-demand library (including full seasons), and DirecTV now offers DirecTV Now, a streaming service separate from their satellite plan. Some major providers are even exploring new verticals to add to their portfolios, as is the case with Comcast’s Xfinity Mobile. There’s tremendous opportunity for traditional providers as the competition in the digital streaming market heats up. But companies must carefully consider these opportunities—with so many options (and more to come) available to consumers, solutions must impress off the bat, or lose fans to a competitor for good. McKenzie Mann is a Project Manager II at CMB. She spends most of her spare time trying to convince her friends that it’s funny to replace the word “man” with “mann.” It's a work in progress, but mann will it be great when it catches on.